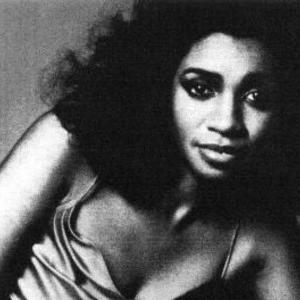 Anita Ward (born 20 December 1956 in Memphis, Tennessee, USA) is an American Disco and R&B singer. Before signing a recording contract, Ward obtained a degree in psychology from Rust College in Holly Springs, Mississippi, and had become a schoolteacher. While recording her first album, Knight presented her with a song he had written the previous year for singer Stacy Lattisaw. Ward did not like the song, but Knight insisted that a dance track was needed to capitalize on the current disco trend, and Ward relented. Before signing a recording contract, Ward obtained a degree in psychology from Rust College in Holly Springs, Mississippi, and had become a schoolteacher. While recording her first album, Knight presented her with a song he had written the previous year for singer Stacy Lattisaw. Ward did not like the song, but Knight insisted that a dance track was needed to capitalize on the current disco trend, and Ward relented. The song, which was originally a juvenile-targeted tune about teens talking on the telephone, was rewritten with more "adult" lyrics, and the result was the single "Ring My Bell" which reached number one in Canada, the United States and the United Kingdom in 1979. Disputes with Knight, a car accident, and the fading appeal of disco music halted Ward's career and she came to be regarded as a one hit wonder. Only one other single of hers made the Billboard charts in the U.S., "Don't Drop My Love," which halted at #87. On New Year's Eve 2002 she performed "Ring My Bell" in New York City's Times Square before a crowd of revelers as part of the city's official celebration. On New Years's Eve 2005, Anita performed in Memphis, Tennessee at Backstreet. She sang her number one classic hit "Ring My Bell" and several other disco hits. She has also appeared in Zagreb, Croatia on 4 January 2006, the night before the FIS World Cup slalom race on nearby Sljeme with some other groups and singers from disco era (Nile Rodgers & Chic, Village People, Thelma Houston and Rose Royce).